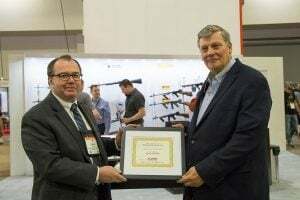 Greeley, PA – During the 2017 SHOT Show, Kahr Firearms Group awarded honors to Dustin Coffman as the 2017 Rep of the Year. Coffman is employed by H&G Marketing based in Big Lake, Minnesota and has been with the company since 2013. His territory is the state of Florida. 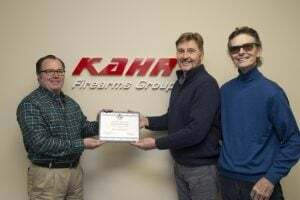 Greeley, PA – Convenience is the newest product from Kahr Firearms Group (KFG). Introducing, the 2017 Kahr Firearms Group App. This new app is not only convenient, but is also packed full of useful information about KFG products. 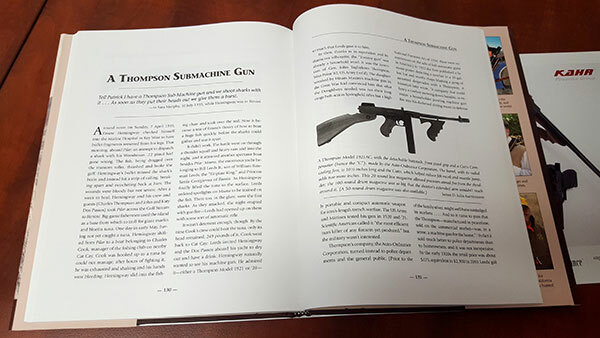 The free KFG app includes product catalogs for Kahr Arms, Thompson, Auto Ordnance, and Magnum Research products. It also includes owner’s manuals for nearly all of the products in the Kahr Firearms Group arsenal. 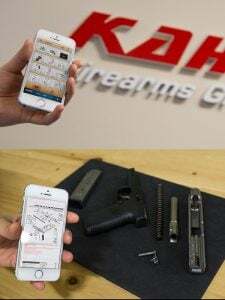 If you are looking for a parts list, technical data, diagrams, operating instructions, dismantling and reassembly instructions, safety information, or cleaning and lubrication recommendations – it can all be downloaded from the Kahr Firearms Group App. The KFG App is available free for all iOS and Android phones and tablets. From iTunes, the link is https://itunes.apple.com/us/app/kahr/id1095545176?mt=8 or through Google Play by linking to https://play.google.com/store/apps/details?id=kr.global.ebookn.kahr&hl=en. 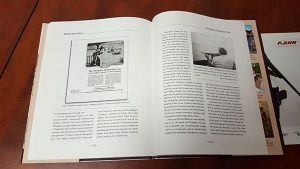 Kahr Firearms Group Video Shooting Contestant gets big win! 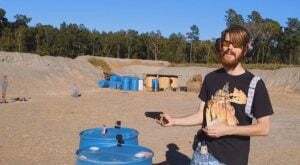 On behalf of all of us at Kahr Firearms Group, we congratulate Drac Thalassa from McDonough Georgia on his win in the Kahr Firearms Group Video Shooting contest. Using a Kahr P9, Drac demonstrated the effectiveness of the pistol by shooting through 2 decks of cards. Drac’s video was viewed 118,483 times giving him the win in the contest. He will now be able to choose from up to $5,000 in Kahr Firearms Group. Thanks for sharing, Drac. The festival honored Barbara Buchanan for her outstanding contributions as the founding member of the new Patrons Den membership club, and Frank Harris of Kahr Firearms, its biggest business sponsor in 2016. “We are thrilled whenever we have an opportunity to give back to the community,” said Harris as he accepted the honor. Greeley, PA – Stop by the Kahr Firearms Group booth #15949 during the SHOT Show between 2:00-3:00 PM on Thursday, January 19th to chat with Michael Bane and get an autographed photo. 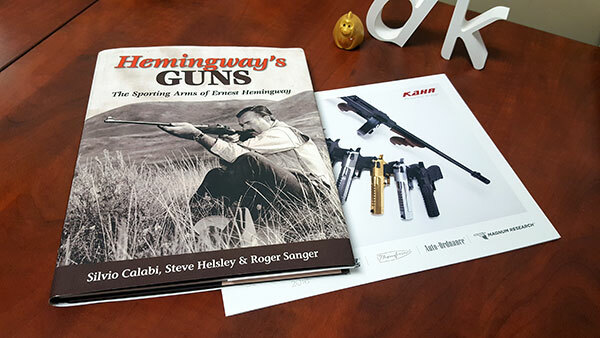 Michael Bane, noted author, TV personality and producer, is a long-time supporter of the Kahr Firearms Group. His impressive list of credits include: executive producer and scriptwriter of Outdoor Channel’s Gun Stories; executive producer and co-host of The Best Defense on Outdoor Channel; and creator, host and executive producer of Shooting Gallery on Outdoor Channel. He has authored 22 books, countless articles, and also hosts a weekly radio show and video podcast. Throughout the outdoor industry, his dedication to shooting sports has earned him the respect of not only his peers, but the industry as a whole. 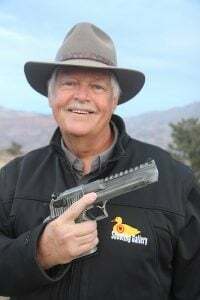 Bane has demonstrated a long and much appreciated history of support to Kahr Firearms Group for many years and he will be in the Kahr booth to share his experiences as an avid shooter and fan of Kahr, Magnum Research and Auto-Ordnance products. Stop by and chat with him. He always has a great tale to share. Ernest Hemingway‘s famous work, the Old Man and the Sea, may be truer to life than you know. It seems the sportsman/writer had his own run in with a pack of sharks over an immense half-ton marlin. Little did they know the Heming-way includes packing a Thompson submachine gun in the tackle box.